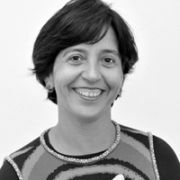 Maria is Senior Marketing Consultant at IM Branding, Brazil. Maria has 25 years of experience in Marketing and Sales of Consumer Goods. She currently works for IM branding, although in her years of experience, she has also served as the VP Marketing Director for Wal-Mart Brazil, as the Planning Director for the Router Group, as well as the Marketing Director for Kimberly Clark Brazil and Unilever Brazil. Additionally, Maria has won numerous awards for her Marketing and Advertising skills such as the Marketing Best Unilever Contest and the Caboré Award for the Best Marketing Professional in 2002.